Manikarnika The Queen of Jhansi; HIT or FLOP? Manikarnika is a historical drama film starring actress Kangana Ranaut in the lead role of Manikarnika, the Queen of Jhansi. The film is scheduled to release on 25 January 2019. Will the film be a 'Hit' at the box office? or will it be a flop? Let's analyse. Manikarnika has been in the making for a long time, and was originally supposed to be released on 27th April 2018. The film got delayed due to multiple controversies surrounding its making, but is finally getting released this Friday. Manikarnika is releasing in three languages - Hindi, Tamil and Telugu (dubbed into Tamil and Telugu), and is releasing alongside Nawazuddin Sidiqui's film, 'Thackeray'. Hrithik Roshan starrer 'Super 30', which was supposed to release this week, has been postponed to 26th July, which gives more release space to Manikarnika. Even though, both Thackeray and Manikarnika are biographical dramas, they quite belong to different genres, and target different sections of the audience, the overlap is small. However, Thackeray will still eat into Manikarnika's screen count and box office collections, specially in Maharashtra, since the of story 'Thackeray' is based in Maharashtra. But outside of Maharashtra, Thackeray poses little threat to Manikarnika. And Manikarnika will easily dominate the box office at least in the first weekend. Both the films lack a big star in the lead, and both are content oriented films. 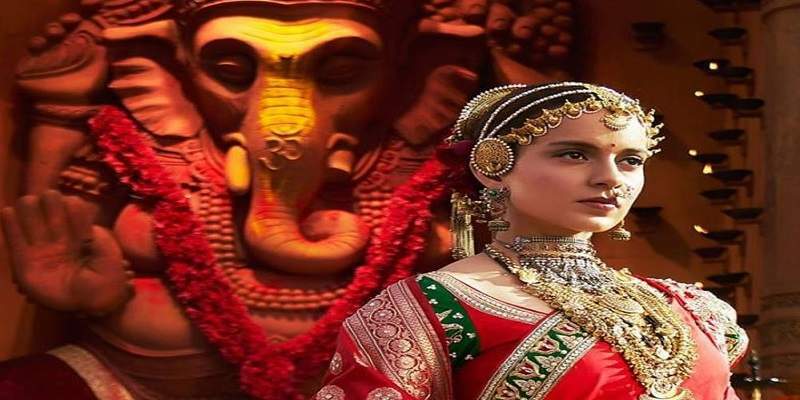 Manikarnika ran into trouble during its making for multiple reasons, which may have affected the quality of the final product. The film's official director, Krissh, quit the film over creative differences with the lead actress. Actor Sonu Sood, also quit the film for the same reasons, after shooting for most of his portions in the film, for about 45 days. The film had multiple script changes. And Kangana Ranaut took over as the director, and several portions of the film were later re-shot. All of this might have affected the quality of the film and may turn into a case of 'too many cooks spoil the broth'. The trailer wasn't really impressive, but hopefully the film will be better than what its trailer makes us to believe. The four Bollywood films that released last week, namely 'Why Cheat India', 'Fraud Saiyaan', 'Bombairiya' and 'Rangeela Raja' failed to make any impact at the box office. While 'Why Cheat India' got a below average response, the other three releases failed to even collect 1 crore rupees at the box office over the weekend! 'Why Cheat India' will be out of the theatres by Friday, making way for Manikarnika. The other three releases had several of their shows cancelled on their very first day, and are already out of the theatres! Last week at the box office was almost like a non-release week, and this will serve as an advantage to Manikarnika. 'Uri The Surgical Strike' benefited the most from the failure of the new releases as it did tremendously well in its second week, but, it is gradually slowing down at the box office, and will lose screens to Manikarnika and Thackeray. So, there isn't really a competitor to Manikarnika this week at the box office, as Thackeray will be quite limited to Maharashtra. Manikarnika has to be a really poor product to not to collect this week at the box office. Because of the film's subject and genre, the film has the potential to do well at both the multiplexes and single screens, but we predict the multiplexes to do better than the single screens. Manikarnika will also bring the family audience to the cinemas. But that is only if the film turns out to be good and has a good word-of-mouth. The film will be hugely dependent on the positive word-of-mouth after day 1, as the film lacks a big star who could pull the audience to theatres. Kangana Ranaut's presence gives the film a slight edge, but her mediocre box office record in the past 3-4 years, tells us that the film has to paddle on its own to reach the shore at the box office. 'Revolver Rani' which released just a month after 'Queen', flopped. Apart from the 2015 release 'Tanu Weds Manu Returns', Kangana's recent films like, 'I love NY', 'Katti Batti', 'Rangoon', 'Simran' have been flops or disasters at the box office. Therefore, Manikarnika's fate at the box office is very much dependent on the film itself, as Kangana's presence in the film will be of little help at the box office. Manikarnika needs to score big for Kangana Ranaut to end her poor run at the box office. The film has sufficient pre-release buzz to give the film a decent-to-good opening at the box office on Day 1. Even if the film turns out to be of average quality, it will still have a chance to do good business at the box office. Manikarnika has most of the things going for it this week at the box office, and it only has to be a decent film to collect at the box office. If the film turns out to be really poor, it will sink without a trace. We predict, the film may fail to impress the audience, and might fail at the box office. The film might collect around 6.5 - 9 crores on its first day at the box office. Manikarnika will bag the most number of screens on Jan 25. Manikarnika might be released in around 2500-2800 screens all across India. The film is reported to be made at a production cost of over 120 crores, but we estimate it to be not more than 80 crores even after the re-shoots. Total budget - An estimated ~96 crores. CoP - 80 crores + P&A - 16 crores.